Mezuzahs are a fabulous gift for children’s rooms. Teach children one of their first lessons in Torah by placing a mezuzah scroll and children mezuzah cases that they won’t forget. 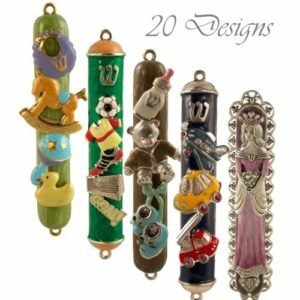 We carry a fabulous set of mezuzah case designs weather it be for a princess, sports fan, a fireman, the love of cars and more. 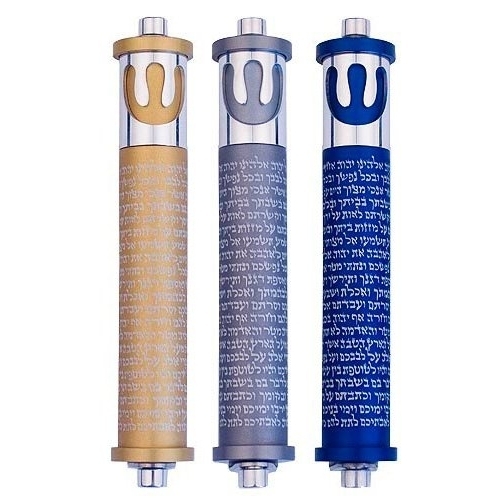 Shop online for fabulous mezuzah cases for children. Made of metal and acrylic these colorful children mezuzah cases come to life and ideal for any children’s room decor. Get one or get a set for the whole family !